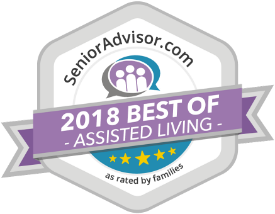 Best of 2018 Award winners represent the best of the best, assisted living, and other senior living providers, based on the online reviews written by residents and their families. 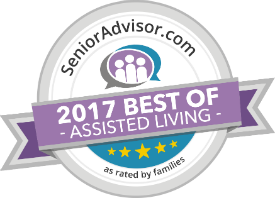 This exclusive designation honors the top one percent of senior care providers across the United States and Canada. 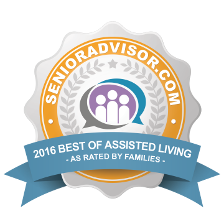 The annual SeniorAdvisor.com Best of awards includes nearly 45,000 communities but only 1,600 are honored with this prestigious award. 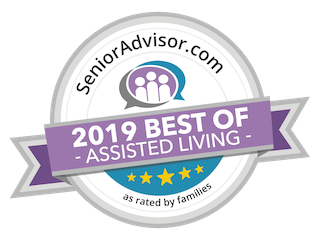 The Lorelton is one of the only winners in Wilmington, DE, and regularly receives exceptionally positive reviews from their senior customers and their families like this one: My father, Harry Wujcik, lived the remainder of his life here. He was 93 years old & independent most of his life. When he could no longer walk, he resided at The Lorelton. Food, Medication, fellowship with both residents & staff as well as nursing care were provided. His life was pleasant & rewarding. The Lorelton staff was wonderful. Offering Assisted Living as well as Memory Care, The Lorelton is a privately owned, non-profit, one-of-a-kind community with an exemplary reputation. Featuring light-drenched apartments, huge paned windows, big sills and high ceilings. The fountain courtyard is a favorite spot for residents featuring gorgeous walkways, flower, fruit & vegetable gardens as well as an indoor greenhouse used year-round & always thriving. The Lorelton also hosts monthly art exhibits allowing many area artists to display their beautiful work. The lobby & activity areas provide pianos, organs, books, games, video library, internet and billiards to name a few. Activities galore including, golf, Tai-Chi, Bingo as well as Happy Hour Twice a week, and brunch on Sundays. The dining room is absolutely gorgeous and the menu vast. Features abound making The Lorelton quite impressive!